Kyle (Chris Evans) really wants to study architecture, but his SAT score just isn’t good enough. And he isn’t the only one who needs to up their score – by any means necessary. It’s lucky then that Francesca (Scarlett Johansson) has connections to the building where the SAT is made. Teaming up with an unlikely group of more or less struggling students, Kyle gets ready to pull off a heist to increase all of their scores. The Perfect Score could have been nice but unfortunately they chose a sexist narrator and tried to go for a moral ending that just didn’t fit the rest of the film. So the film misses its mark and becomes mostly boring. After the recent events surrounding the Avengers, the UN feels it necessary to institute some kind of regulation for the action of superheroes. Tony Stark (Robert Downey Jr.) who feels guilty about all the damage, destruction and death that happened on his watch and due to his decisions, thinks that’s a very good idea, while Steve Rogers (Chris Evans) fears that they will cease to be an effective task force, bogged down by bureaucracy, if they have to wait for approval by somebody else. And who’s to say that that somebody will make the right decisions and work for the right things? This disagreement causes a schism in the Avengers – a schism that only gets broader when Bucky Barnes (Sebastian Stan) is accused of planting a bomb in the UN meeting where the regulation is to be discussed and Steve wants to protect him at all cost. I like the Marvel Cinematic Universe. So far, the films were always entertaining, even if varying in quality. With Avengers: Age of Ultron, [or with Guardians of the Galaxy although that isn’t that closely connected] they started to stumble, though and those smaller missteps are starting to get more notable the longer the series goes on. 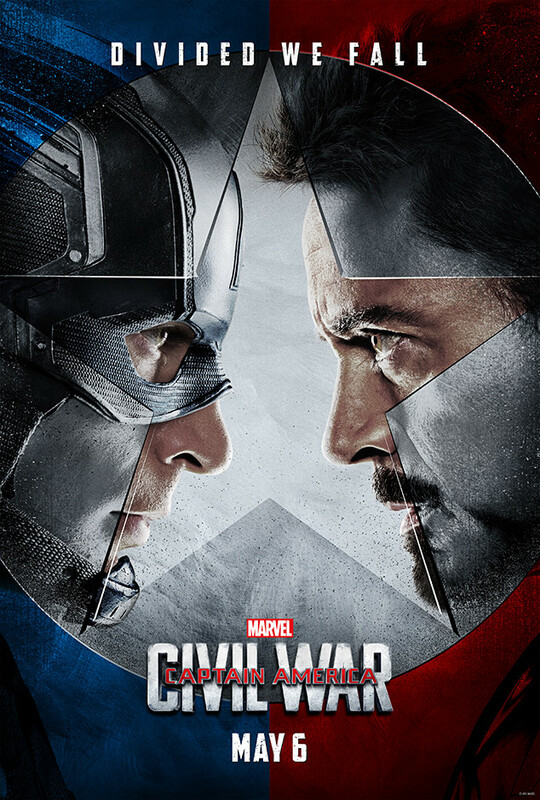 Civil War proves that: while it was far from awful and delivered on many counts, I felt more unsatisfied with it than with most of the earlier MCU films. A few years ago, the panther Bagheera (Ben Kingsley) found a human baby and decided he couldn’t just let it die. So he brought it to the wolves Akela (Giancarlo Esposito) and Raksha (Lupita Nyong’o) who raised him as their own. 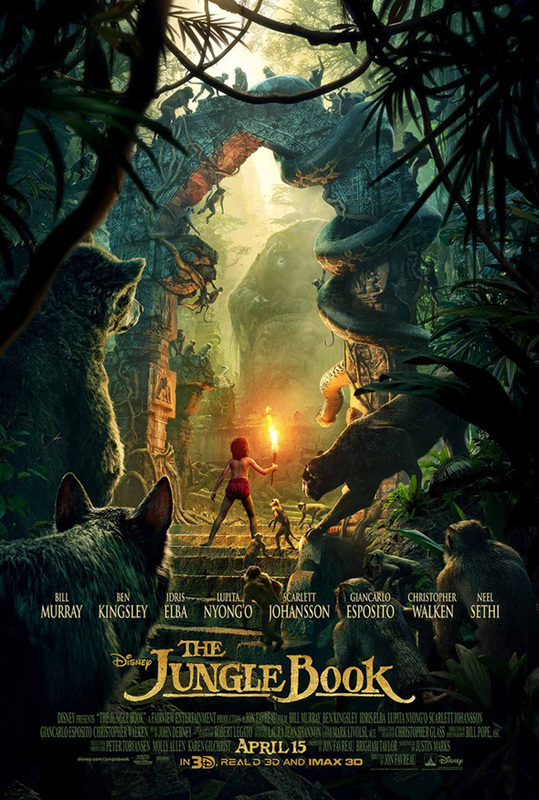 Now the baby – Mowgli (Neel Sethi) – has grown into a child who feels perfectly at home in the jungle. But the tiger Shere Khan (Idris Elba) will not suffer a human in the jungle. With the threat of murder in the air, Bagheera decides that the safest option is to bring Mowgli back to the humans. The Jungle Book is a weird film. On the one hand, it stays extremely close to the animated Disney version, on the other hand it often enters grimdark territory. That makes for a very weird mix that made me scratch my head more than once. 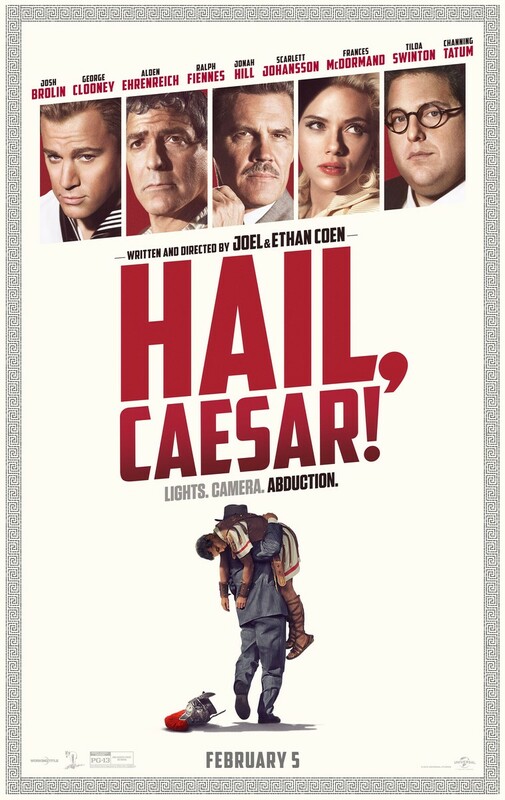 Carl Casper (Jon Favreau) is a passionate chef, but his boss Riva (Dustin Hoffman) wants him to stick with the tried and tested menu – always. That brings him an abysmal critique by Ramsey Michel (Oliver Platt), the most important food critic. After fundamentally misunderstanding twitter, Carl transform that critique into a public feud with Michel, ultimately leading to him losing his job. Suddenly Carl has all the time in the world. Taking a recommendation from his ex-wife Inez (Sofia Vergara), he goes back to his roots and re-builds his career with a food truck that he takes on a cross-country tour, helped by his son Percy (Emjay Anthony) and his friend Martin (John Leguizamo). 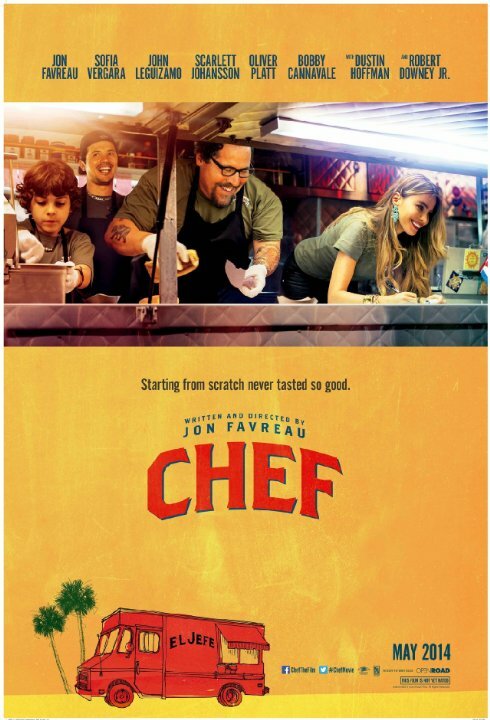 Chef was an entertaining film, although it felt to me like Favreau made a film where he out-latinos all the latin@s in it – which was very weird, if not to say problematic. The Avengers – that is Tony Stark/Iron Man (Robert Downey Jr.), Steve Rogers/Captain America (Chris Evans), Thor (Chris Hemsworth), Bruce Banner/The Hulk (Mark Ruffalo), Natasha Romanoff/Black Widow (Scarlett Johansson) and Clint Barton/Hawkeye (Jeremy Renner) – have become quite a team. In their most recent take-down of Hydra men, they managed to get back Loki’s scepter. Before Thor can take it back to his world, Tony and Bruce ask to analyze it and they discover a form of intelligence inside of the scepter. They decide to use it to try and create an AI as a defense program. 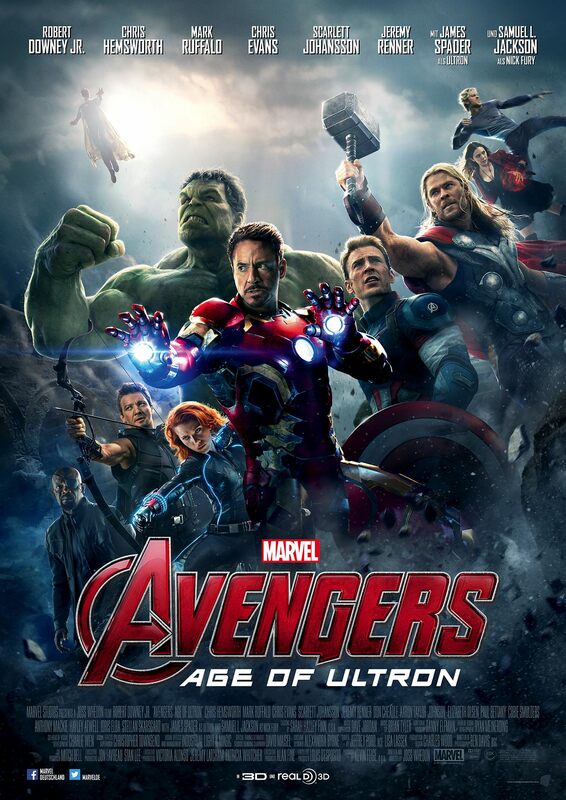 They succeed and said program – Ultron (James Spader) – comes to life. Unfortunately he has his own vision of what a safe world looks like and the Avengers have to face Tony’s and Bruce’ creation. I really loved the last Avengers movie, and this sequel has many of the same strengths. Unfortunately it also has a lot more problems than the first one, especially when it comes to plot and character development. Nevertheless I really enjoyed myself. A woman (Scarlett Johansson) drives around Scotland, randomly picking up hitchhikers and bringing them home where she kills them. She is always shadowed by a man on a motorbike, until one day she breaks free. 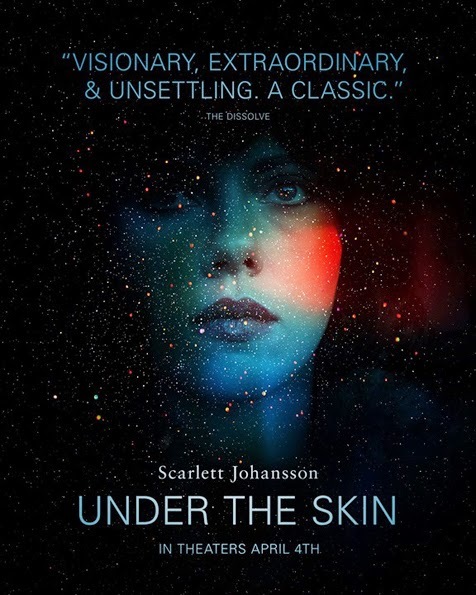 Under the Skin didn’t work for me at all, despite Scarlett Johansson being an attention magnet and the beautiful visuals. But especially for a film about a (probably) female being, it just lacked a female perspective. Lucy (Scarlett Johansson) is a student in Taiwan who gets mixed up in a drug deal. Suddenly she finds herself with a plastic bag full of a new drug stitched into her stomach and supposed to deliver it to Europe. But she never arrives there. 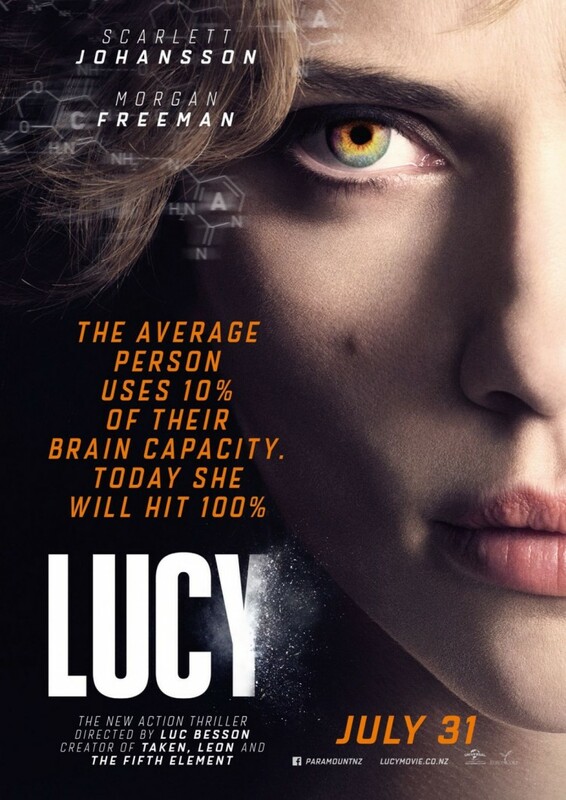 Instead the bag ruptures and Lucy absorbs the drug which activates untold capacities in her brain. When Lucy has control of herself again, she needs to figure out what to do with her newfound powers. This film is an absolute mess. Even if you don’t take into account that it’s basic premise is already wrong, it doesn’t make sense at all, there’s some amazingly casual racism, and above all it is so stupid that it probably diminishes your brain function considerably as you watch it. Theodore (Joaquin Phoenix) has been leading a rather solitary life since he separated from his girlfriend Catherine (Rooney Mara), mostly occupied with work – writing personal letters for other people. Then he gets a new AI OS for his phone. And that OS – Samantha (Scarlett Johansson) quickly becomes a huge part of his life to the point where Theodore falls in love with her. Her is a beautiful movie with great performances though I wasn’t quite as blown away by it as I expected to be. Nevertheless it is rather wonderful. Steve Rogers/Captain America (Chris Evans) tries adjusting to life in his own future but that’s not easily done. Especially when the few things he thought he could count on come crashing down around him. 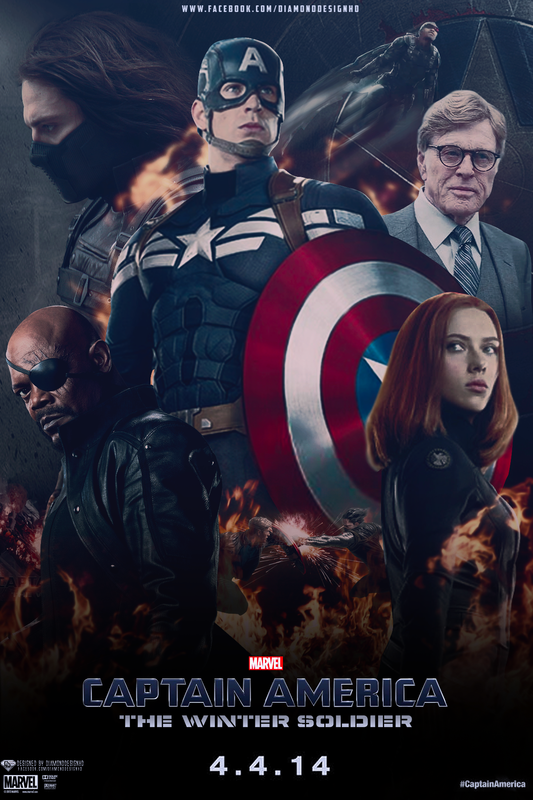 Nick Fury (Samuel L. Jackson) is attacked and with him SHIELD, the mysterious and deadly Winter Soldier is after Steve and Steve finds himself almost entirely on his own. Only supported by Natasha Romanoff/Black Widow (Scarlett Johansson) and Sam Wilson (Anthony Mackie) he tries to figure it all out. Captain America was an extremely entertaining film and I did enjoy it a whole lot. They were certainly able to do better than with the first one, though it still isn’t a perfect film.